Will Beall, the screenwriter for the upcoming DCEU film Aquaman, met with Slashfilm to discuss aspects of the upcoming film’s setting. While he couldn’t discuss the recent news of Black Manta being the film’s villain, he did mention how the action would play. While we know land-based action can work extremely well, it will be interesting to see how the film not only tackles its underwater setting but action as well. the character’s previous appearance in Batman V Superman, while looked fine to me, appeared as if he was holding his breath for many others. Getting the ocean and Atlantean scenes in Aquaman done correctly will be very important for the film’s success. Beall said that he’s not finished with the screenplay however so a lot can still change. But when asked whether aspects of Aquaman were still dependent on the outcome of Justice League or not, Beall said Aquaman’s endpoint in that film is known by everyone working on the movie. Aquaman is slated for release July 27th, 2018. You know I’d be really REALLY excited for this movie, if Jason Momoa and Amber Heard weren’t the stars. I mean come on man. James Wan is really good though and Johns really revitalized Aquaman. If only they could recast. Did we forget the bs hate Affleck went through when he got cast? Let’s bring more negativity like there’s not enough ALREADY. You’re going to come here a bring up Leto after the Suicide Squad debacle? Come on man. As far as Momoa he’s no where near Ledger. Ledger was an Oscar nominated actor before he became the clown. Momoa has been in bomb after bomb after bomb. He’s not a leading man, he’s a side character. This whole Khal Drago thing he’s doing is not Aquaman. This is Zack Snyder being all “Look at how Badass and cool this is. 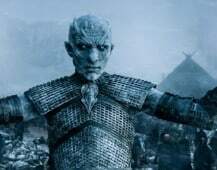 Who cares about how he delivers his lines or if he can act. He looks AWESOME” that makes Zack Snyder a Hack. He didn’t compare Mamoa to ledger, he said that we all know the backlash of casting choices that worked out great! I am not sure what problems you have with the leto interpration of the Joker but I can tell you that there wasn’t enough Joker in there to judge his performance! He got cut out and what he got wasn’t actually diabolical. All he was doing was to get Harley back. We cannot be certain as to what he could do in a standalone movie. As far as Mamoa goes, I guess the guy made a pretty good point. Chris Hemsworth has no career out of Marvel movies, same goes for scarlett johansson. Everything they work on takes a nose dive on boxoffice and before you mention rush, Daniel Bruhl was the only reason the movie was a success. I agree, Chris H. hasn’t been good at the box office. However, Scarjo mostly had smaller parts or was in smaller critical films b4 Marvel. Since then she’s starting to be in bigger films (Jungle Book, Lucy). She’s also a 3X Golden Globe nominated actress and won a BAFTA. I see more for her than Chris. He has a chance but we’ll see. TBH, I agree with most of what you’ve said. “Suicide Squad debacle”? WTF are you talking about??? As far as Mamoa’s Aquaman, clearly you’ve never seen JLU. Yes Suicide Squad is a debacle. IT got DESTROYED by critics. Oh it had a great opening weekend, but then it had a RECORD box office drop off It’s not going to make as much money as GotG or Deadpool, and most likely wont’ break 750 million. That’s a DEBACLE. Especially considering how much WB spent to “FIX” the movie. And in JL (that’s where he was first introduced not in Unlimited) Aquaman was not a barbarian. He was a King. The only thing they have in common is the long hair. EYes Suicide Squad is a debacle. IT got DESTROYED by critics. Ahh, yes, the “critics”. 100 people not liking something, equals a “debacle”. Got it. Oh it had a great opening weekend, but then it had a RECORD box office drop off It’s not going to make as much money as GotG or Deadpool, and most likely wont’ break 750 million. That’s a DEBACLE. Ah yes, because clearly you missed the part where it’s at $500M, and it hasn’t even opened in Germany, Japan, and a couple of other markets. And that’s in 2 weeks’ time. AND that’s without China. None of the films you mentioned did any of that. Especially considering how much WB spent to “FIX” the movie. Oh, you mean, about the same amount that EVERY OTHER STUDIO spends on re-shoots, and such? Wow, you’ve been hellbent on believing any such nonsense that you find on the net. I’ve already debunked the last piece of craziness you were saying on here, about the false info from these websites you like to get your “info” from. Yes, because you’ve seen the film already? How do you KNOW that Mamoa is playing a “barbarian” in JL? What’s your proof? And in the meantime, just because Aquaman was a king in JLU, doesn’t mean he wasn’t onery and brutish and abrasive and aggressive. I’m assuming that’s what you mean when you say “barbarian”. Otherwise, I don’t know what you’re talking about, and I suspect, neither do you. I’d also like to add, that Aquaman in the comics was that way as well, at least in the beginning. Trolls are easy to block, man. Yeah, he’s just talking nonsense. What is wrong with Momoa? He’s been great in all movies/tv shows I’ve seen him in. Plus he basically in the trailer alone made Aquaman no longer a joke. He was badass. I don’t know anything Amber Heard has been in, so can’t comment on her. Yeah he was revolutionary in Bullet in the Head and Conan the Barbarian. Chris Hemsworth is trash, every non-Marvel film he stars in tanks at the box office. Who says we need Daniel Day Lewis-level acting in comic book films? Try harder. Calling someone trash seems a bit harsh and unnecessary. Hemsworth has starred in bad movies (snow white anyone) but he’s never been the problem. He’s a very solid actor. Did you not see Rush? Heck he was thought to be the best thing in that Ghostbusters remake. Nothing is wrong with him, Razor just being a hater for no reason. I hope we get some pure Lovecraftian horror bits from the movie. So much potential for world-building. 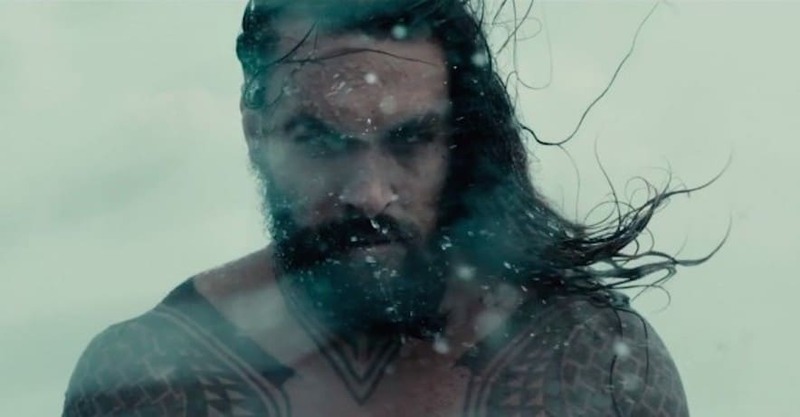 I like the sort of Kal Drogo vibe for Aquaman tbh. I’ll be honest, this is not one my favorite DC characters, never has been. But this take on it looks cool to me. He seems kind of Poseidon-like, and that is something I can relate to little better from a mythological standpoint. I never noticed that in the BvS peek we got at him he looked like he was holding his breath, but that’s actually a good observation. They’re going to have to figure out some clever way to have the Atlanteans look like they’re not holding their breath in the underwater scenes. I guess they’ll green screen it, but then how to create the illusion of being underwater? It’s an interesting film-making challenge.